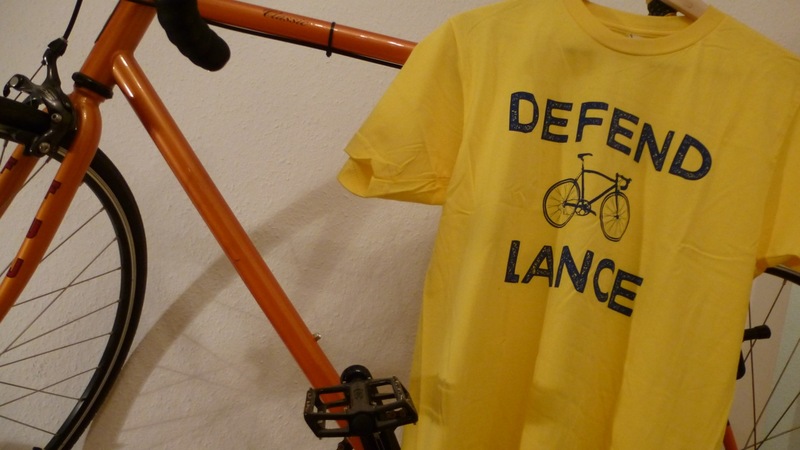 Klaus from Voll´s found this cool T-shirt at the Pedal Pushers Club website. I´m sure we (me and the t-shirt and …) will have some nice discussions soon. 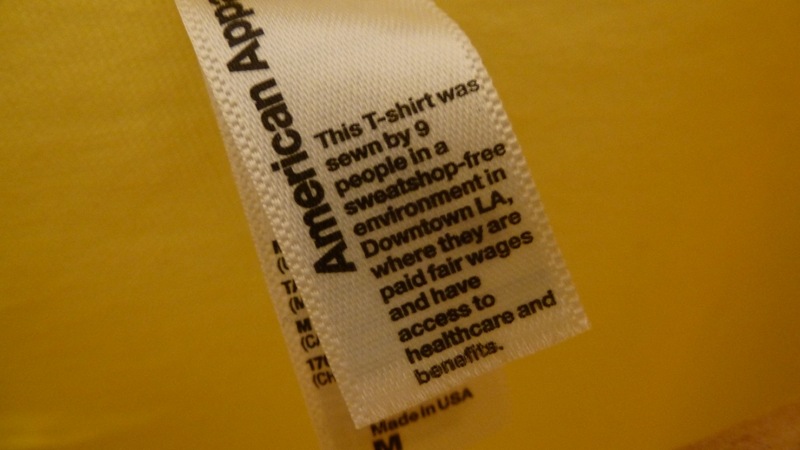 The “care label” by American Apparel is a nice example for good marketing. 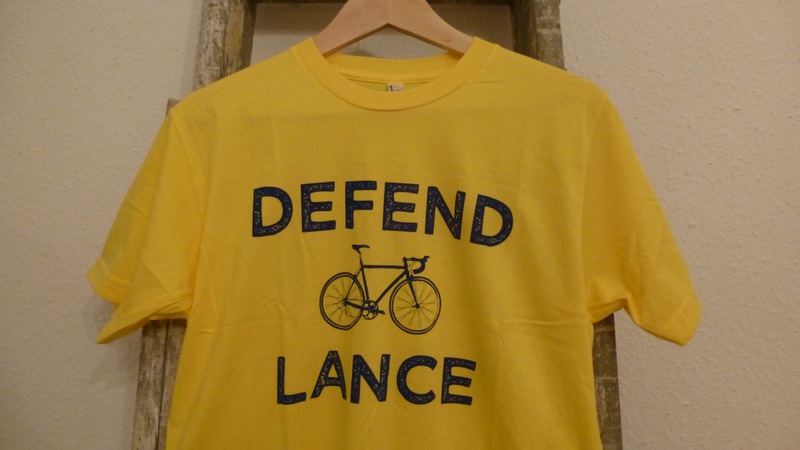 Unfortunately the t-shirt is no longer available at the Pedal Pushers Webshop – read why? The hunt after Lance Armstrong is just ridiculous everyone knows that new world records or top scores can only be accomplished by dedication, genetics, talent, luck, pain and drugs. Believing others won´t use whatever is possible to gain victory is nonsense. The “non positives” are just more clever in cheating. 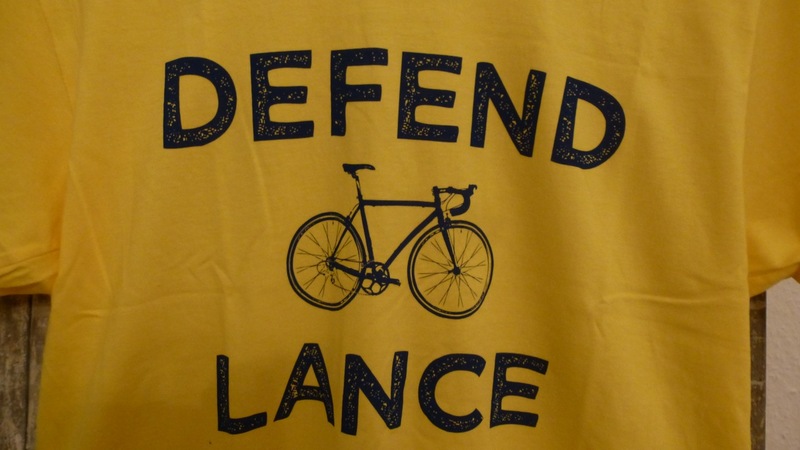 This entry was posted in Style and tagged american apparel, bike, cycle, defend lance, klaus, lance armstrong, made in usa, pedal pushers club, tour de france, tricot, volls, yellow on 24. October 2012 by Alex.